What Super Bowl halftime show? Check out 540 dancing robots celebrate Chinese New Year - trendistic.com: ever tried. ever failed. no matter. try again. fail again. fail better. 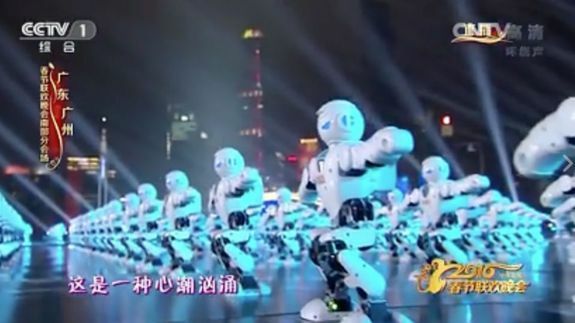 Set against the skyline of Guangzhou city, the robots are dancing to the tune of singer Sun Nan, and while they’re not as mobile as we’d like dancing robots to be, just look at the sheer number of them!